IF YOU WANT HAIRS ON YOUR CHEST, THIS IS THE DISH FOR YOU. Ideal for chilly weather and hungry guests. It may not have the finesse required for a dinner party, but for a boozy Sunday lunch with family and friends it’s perfect — providing just the right amount of comfort and being rather easy to pull off and impress with. I ordered a mixed box of beautiful rosé veal from Heaves Farm Veal at the end of last year and received a whole host of interesting and tasty cuts. Fillet steaks perfect for wiener schnitzel, shins for osso bucco, mince galore to make gently cooked ragu, braising cuts that I used for an Italian style pie (link here), a topside that melted perfectly in a marsarla wine and porcini mushroom sauce, and a whole load more besides. I’ve still got lots of it to use (look out for the schnitzel and osso buco complete with saffron Milanese soon) and when trying to squeeze something into the freezer in the week was reminded about the brisket. Brisket is from a really hard working part of the beast and so needs very gentle and slow cooking to break down the connective tissues and make the meat melt. 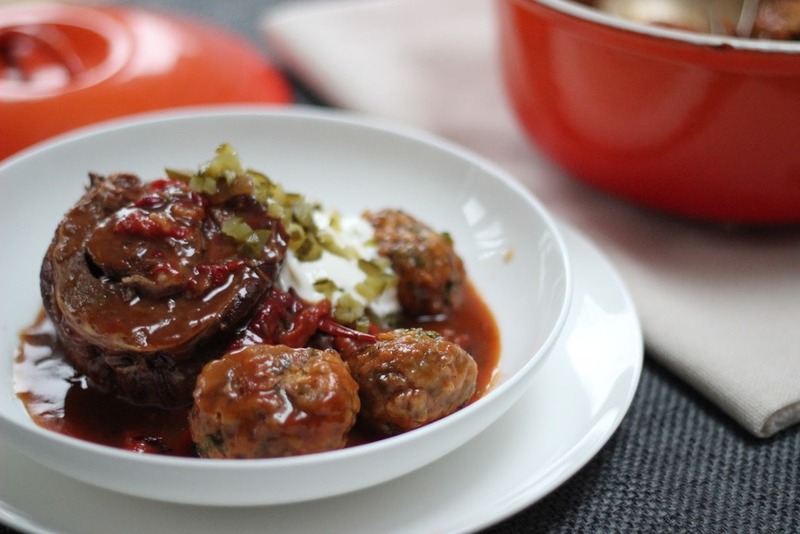 It has a great flavour and takes on other flavours very well indeed, so lends itself to bold, slow cooked dishes like goulash. 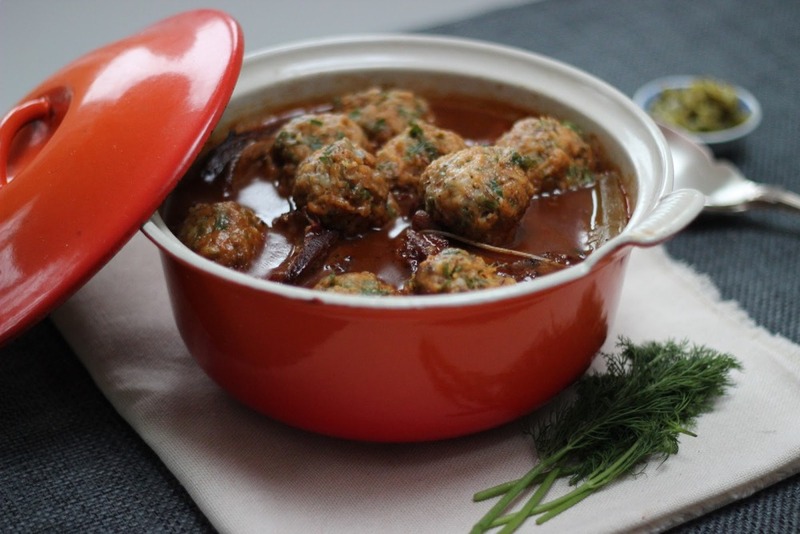 After sampling some rather sorry dumplings in Prague alongside a goulash, I realised dumplings are ideal for adulterating – they take on other flavours perfectly so can act as a great complement to the dish you serve them with. Here I packed them with caraway seeds and dill – flavours that a goulash I ate in Vienna last year was filled with. I hope you enjoy it as much as we did. Into a casserole dish combine all the goulash ingredients apart from the cornflour mix and place into the oven for 20 minutes at 220°C, then reduce the heat to 165°C for 2.5 hours. Towards the end of the cooking, mix in a large bowl all the dumpling dry mix until combined, then add enough water to form a firm dough. 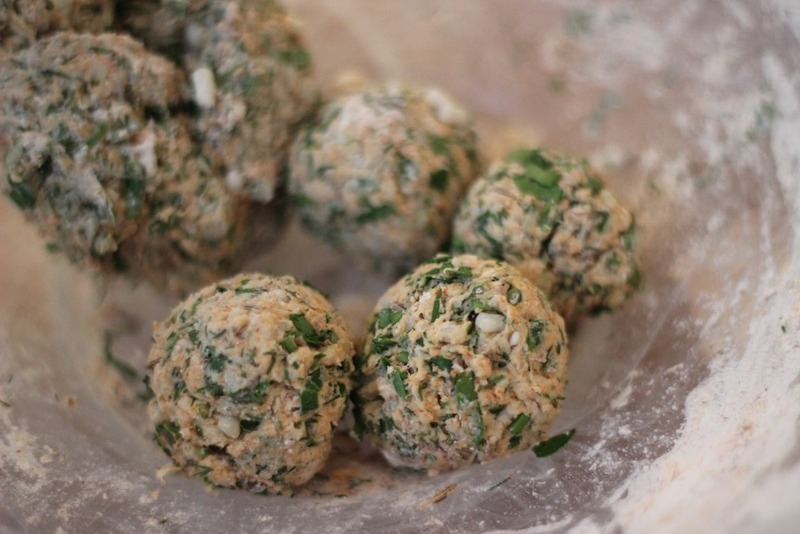 Form the dumplings into small balls, you will get around 9, then set aside. When the time is up on the goulash, remove from the oven and remove the brisket and set aside for 15 minutes to rest. Whilst that’s happening strain the liquor, catching it in another casserole pot or saucepan that can go on the hob and which has a lid. Out of the vegetables in the strainer keep the peppers, carrots and celery and put these into the strained liquor. Heat on a gentle heat and stir in the cornflour until you get to a consistency of sauce that will coat the back of a spoon. As this cooks a little, take the brisket and cut into large slices, then place it into the sauce so it’s submerged. The goulash on the hob should only be gently simmering on a low heat, and once the veal is back in it place the dumplings on top. Clamp the lid on and be very patient and don’t peek until it’s done – which will take 20 minutes. Serve with a big glass of your favourite.